Graham Norton is hosting a one-off reading and sing through of Midlife Cowboy, a musical by comedian Tony Hawks at a charity evening toraise funds for the Tony Hawks Centre for children with cerebral palsy. 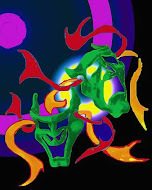 It will take place at the Lyric Theatre on 25th April. The event will feature special guests including Jack Dee, Ben Miller, Caroline Quentin and Doon Mackichan with more guests still to be announced. 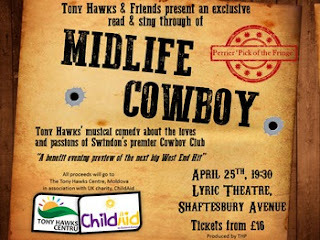 All will help to debut the show about the loves, lives and passions of Swindon's premier Cowboy Club. Ticket prices start from £16 with all proceeds going to the Tony Hawks Centre.